Start Date/Time 2016-07-30 07:00:00 Central time, U.S.A.
End Date/Time 2016-08-02 23:59:00 Central time, U.S.A.
A NASA written account of deployment of the first lunar rover. NASA’s Marshall Space Flight Center in Huntsville, Alabama was responsible for development of the Lunar Roving Vehicle (Lunar Rover). We ended up with 1010 entries in our logbook for this event. During which I encountered one man who worked on every heat-shield put on the bottom of the Apollo Command Modules and another who’d worked, during that time, at Grumman where the Lunar Module was built. Total number of logged contacts was 698 QSOs. We worked a few on more than once on multiple bands during alternate operating sessions. 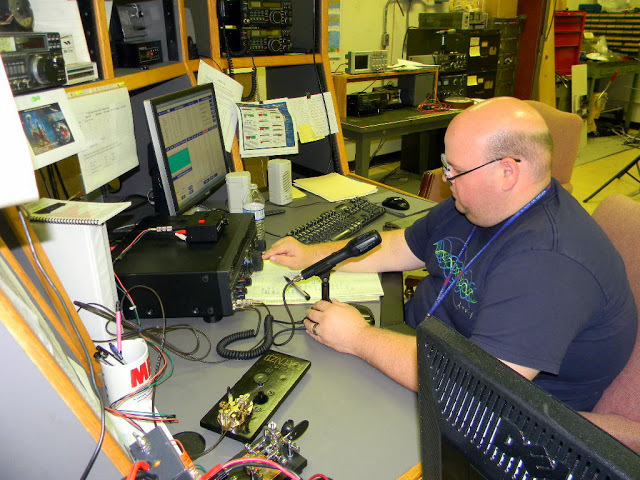 Matt KA0S operating 20 meter phone for the 2015 IARU-HF contest. Our club took part in the International Amateur Radio Union – High Frequency Championship (IARU-HF) contest last month. It was a weekend event, but we operated just on Saturday July 11, 2015, during the day. Participating were Rob KB5EZ, Malcolm K4MLP, Matt KA0S, and Gary WA2JQZ. The several of us operating enabled us to submit as a Multi-Operator, Low Power, Fixed station. We made 124 contacts. Most were in Europe, and North & South America. We operated on SSB and CW, on 20 and 15 meters. A DX entity we worked for the first time was the Finnish Island called Aland Island, with OH0X. 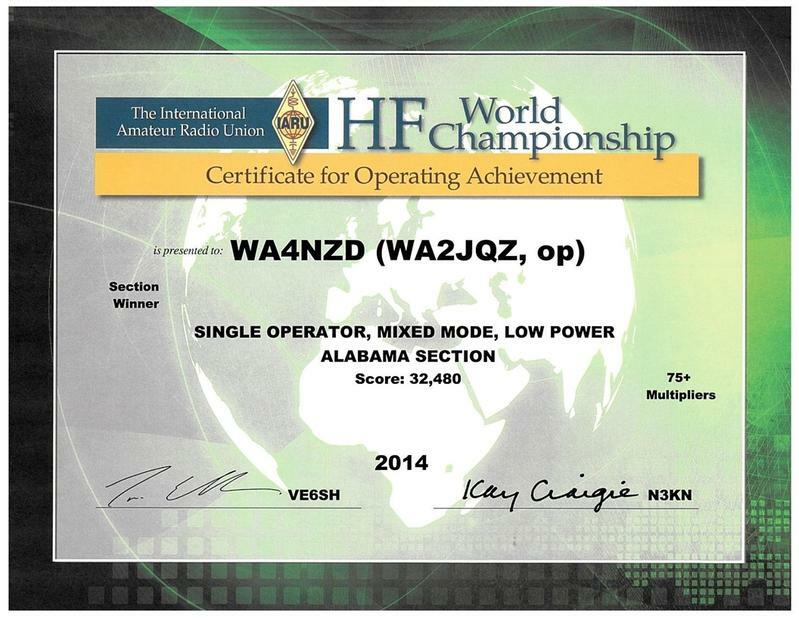 Meanwhile also, we just received an award from operating the 2014 IARU-HF contest last year. We achieved 75 multipliers, which enabled us to win an Operating Achievement Award for the Alabama Section.